Collis Roofing is Florida's largest and highest rated roofing contractor for 2014 according to Roofing Contractors. In 2012, Collis Roofing was named the Residential Roofing Contractor of the Year out of all the roofing contractors in the United States. Besides superior roofing for both commercial properties, new construction and residential homes, Collis Roofing offers PV, Thermal and Pool Solar, Windows, Siding including Harde Board, Exterior Doors, Drywall, Insulation & more home improvement & commercial services! 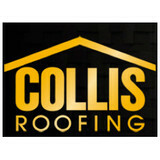 Call now 1-800-COLLIS1 for a Free Estimate from the locally owned and operated industry leader. You've invested a lot into the home of your dreams, and the roof is the most vital part of your home. Roofs give your home a unique look all while protecting your family and property from the elements. At GO Builders we understand how important your roof is. Exceptionally detailed craftsmanship along with the highest quality products will help ensure that your investment is well protected for years to come. Besides installing the highest quality roofs available, we handle all repairs from temporary to major. Our expert staff provides outstanding service no matter what your roofing need. GO Builders offers quick and reliable professional service with an emphasis on our customers. Whether replacing a roof or performing inspections or repairs, you can count on receiving an accurate assessment and prompt solution to any roofing problem you encounter. With expertise in different roof types, GO Roofing can add flourish to your home while making it more efficient and safe. It is our goal at GO Roofing to provide incredible customer service and craftsmanship all at an affordable price. 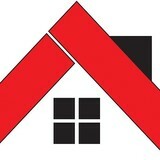 Proformance Roofing is a locally owned family business. 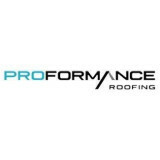 At Proformance our mission is to provide the best customer service in the residential roofing Industry. We take pride in every roof we do, no matter the size. For over two decades our family has partnered with Central Florida & Jacksonville homeowners to tackle their home improvement and roofing needs quickly and efficiently with the utmost in personal service, professional workmanship and quality materials. Here in Florida we know by experience how hard our weather can be to our roofs. We also know that buying a new roof is an important investment and after 40 years in this business our knowledge of the roofing business is almost unrivalled. Whether it be for your business, or your home, Roberson Roofing Inc. can install high quality roofing systems to protect your most valuable assets. Do you need a new roof? When it comes to hiring a roofing contractor there is nothing more important than finding out what other people think who have hired the company. That's why we have devoted a page of our site to Customers Testimonials. If you have not already heard of us then please click on the Customers tab above and read what other people say about our work. Whether we perform a roof repair or provide a new roof we will provide you with a detailed estimate and an explanation of the proposed repairs. Should a new roof be necessary our experienced roofers will provide you with a high quality roof system..... guaranteed! We offer a wide range of services to our customers and we use only the best quality products. From the moment you contact us through to completion of the project we will work with you to ensure that you are getting the roof or repair that you need and that you are completely satisfied with the results. Since 1973 Senez Roofing has pleased customers throughout Florida with fast, friendly, professional service, affordable prices and quality roofing. Back in 1973, Ernie Senez began offering high quality but affordable roofing to area residents. The word of his quality workmanship, his reasonable prices and his friendly service soon spread and Senez Roofing became a popular and respected name throughout Central Florida. These days a second generation of Senez has continued the tradition of offering quality roofing, affordable prices and fast, friendly service. If you want proof of the service, just ask your neighbors. Over 20 years of experience in exterior building products and design. Comprehensive knowledge and understanding of masonry product lines including natural stone, simulated stone, brick veneer, all interlocking paver systems and concrete roofing products. Specialty training in product lines from the manufacturing process to in-depth understanding of the installation process. Sun Coast Roofing offers their discerning customers the attention they deserve. From the moment we provide an estimate to the end of an installation, we work with you to complete your special project. Professionalism, excellence and state-of-the-art workmanship provides us with superior relationships with customers, contractors and vendors in the eastern United States. In order to please our customers, we maintain a vast knowledge of our industry by continuing education and networking with contractors and vendors who only use the most advanced techniques, procedures and materials. Sun Coast Roofing takes pride in each and every project entrusted to us by our customers. If you need a roof repair or replacement for your home or a re-roof or maintenance for your commercial building, Russ Noyes serves the Orlando area with experience and expertise. The only thing more important than making sure you have a roof over your head is; making sure you pick the right roofing company to install it! Our customers say we're the best in the business!! 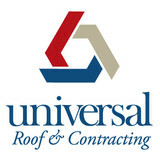 We specialize in residential roofing and have been in business for over 50 YEARS! Which makes us the OLDEST Roofing company in Lake County. That means that we will be here to finish your project, and will be here to stand by it for the long haul! We only use the best materials, and are dedicated to completing each project in a timely manner. Neal Strickland Roofing specializes in the installation of metal roofing systems, which are ideal for the Floridian climate. We provide a wide range of roofing services including metal, shingle, and flat roof installations along with roof repairs. We are driven with a dream of providing quality craftsmanship at the lowest possible price. Roofing is not rocket science, but without it you face many dangerous issues such as loss of energy, damage to your decking and trusses, interior damage that can only add to your repair costs, and loss of security during a severe weather system. With over 20 years experience in all types of roofing installation, repairs, and maintenance, our team is highly qualified, with not only a roofing contractor's license, but bachelor degrees in Civil Engineering and Construction Engineering. In addition to holding a roofing license, we often partner with a General Contractor to satisfy your other needs with affordability.When you are looking for a capable, tested, honest, and affordable roofing contractor, give us a call. We are here to serve you, our customer, with reliable and quality services at a price that, even you, will be satisfied that Roofing Pioneers LLC was the superb choice. General Contractors that specializes in insurance restoration & Roof Replacements. We are GAF Master Elite Roofing Contractors ranked in the top 2% in the country. Located in Port Orange and Fern Park Florida. We service Volusia, Flagler, Seminole and Orange County Florida. What do roofing companies in Ormond Beach, FL do? Your Ormond Beach, FL roofing contractor can install a new roof or repair an old one, as well as repair and replace gutters. Good roofers in Ormond Beach, FL should be able to promptly inspect roofs and gutters to assess damage after a natural disaster or other event, and give you an estimate for the necessary roof repair immediately. Some Ormond Beach roofing companies specialize in specific types of roofs, such as tile or metal, so make sure the one you are interested in works with the materials you have or desire. Find an Ormond Beach roofer on Houzz. Narrow your search in the Professionals section of the website to roofing companies in Ormond Beach, FL. If you’re planning a large-scale project, find other professionals on Houzz who can help get the job done. Here are some related professionals and vendors to complement the work of roofing & gutters: General Contractors, Specialty Contractors, Siding & Exteriors, Door Sales & Installation, Garage Door Sales & Installation.